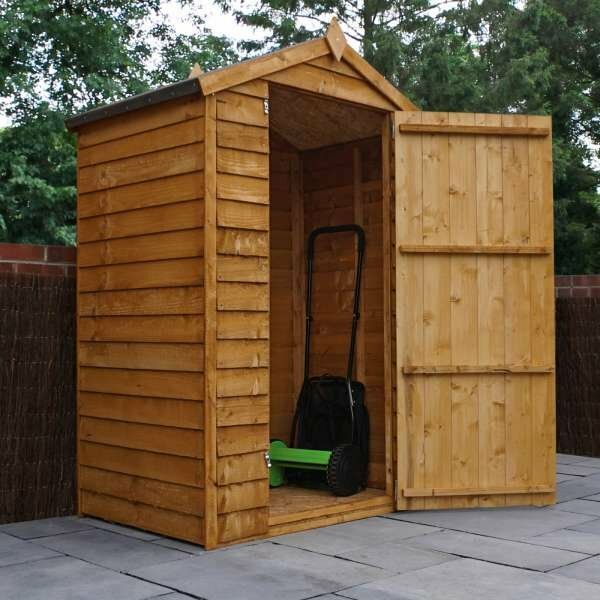 You only need to take one look at this shed to know how amazing it looks once installed. 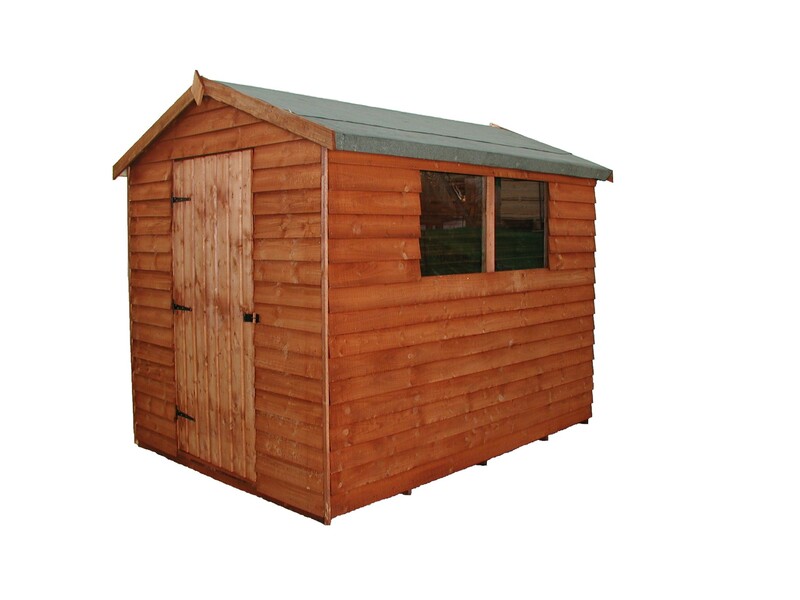 The 7 x 5 overlap apex shed is affordable, durable and attractive. 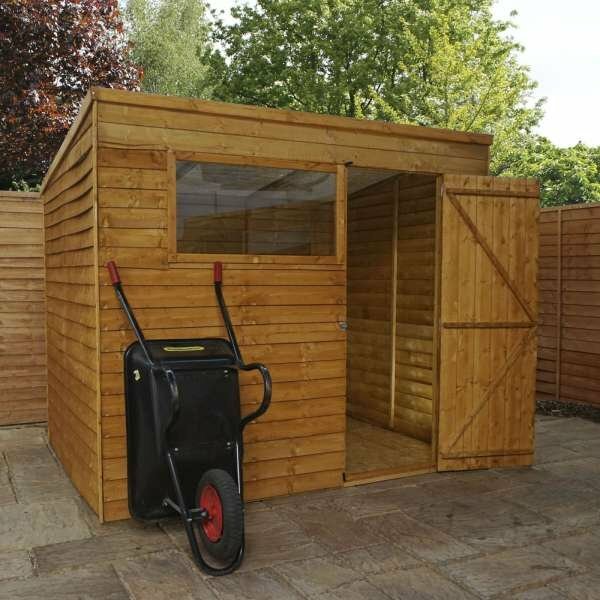 It can serve many purposes while not taking up too much room in your garden. 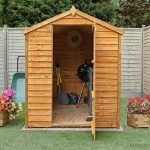 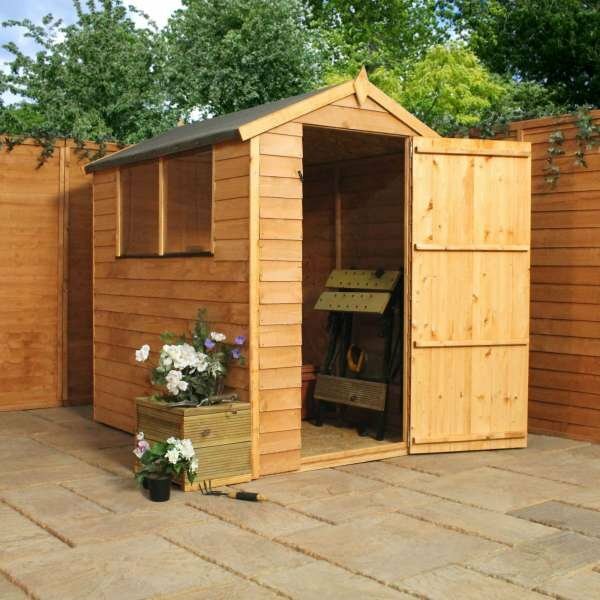 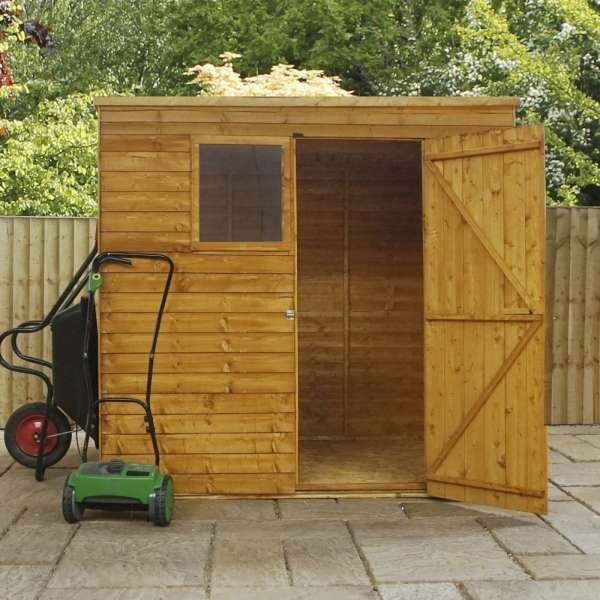 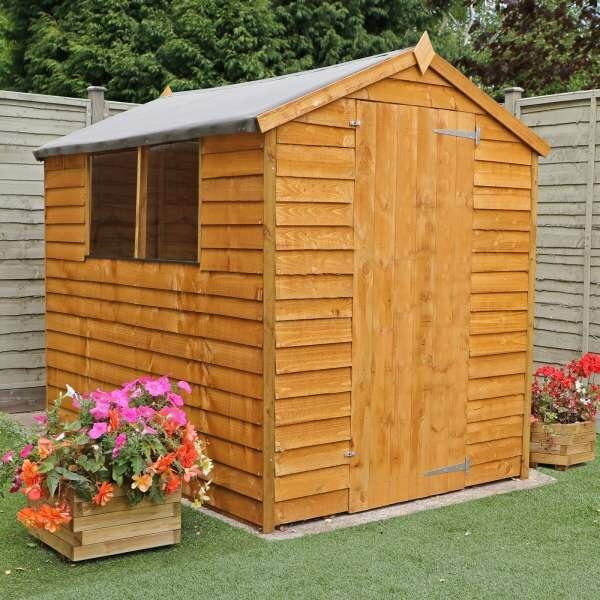 Whether you want to store sports equipment, garden items or use it as additional working space, this shed will suit your every need. 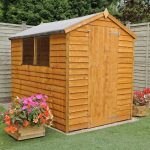 The range is constructed with 7mm overlap cladding so you can be sure that rain water won’t penetrate the wood when bad weather spells arrive. 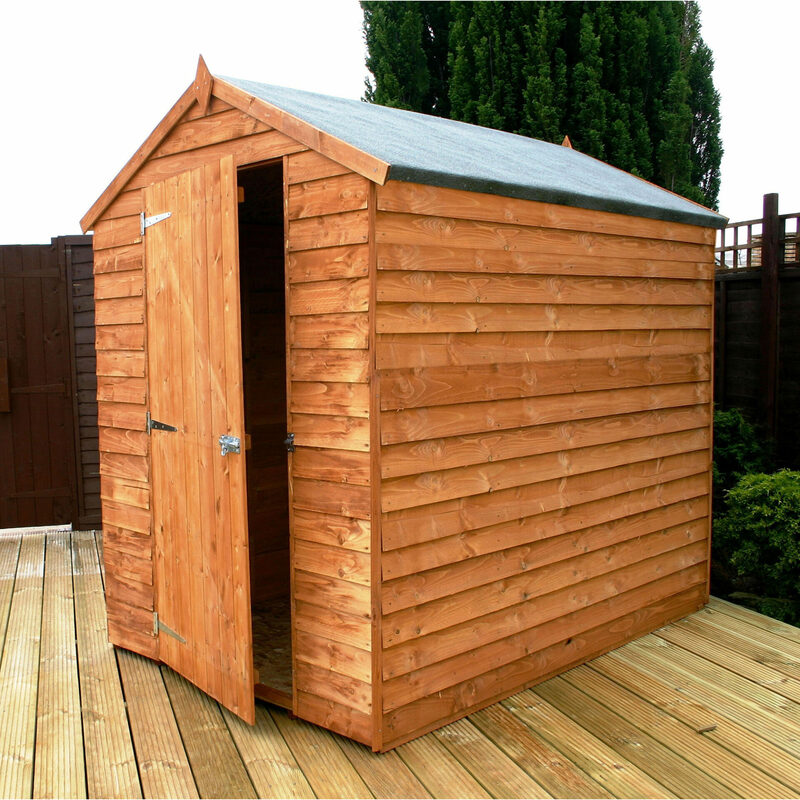 It also comes with a 10mm solid sheet floor and 8mm solid sheet roof. 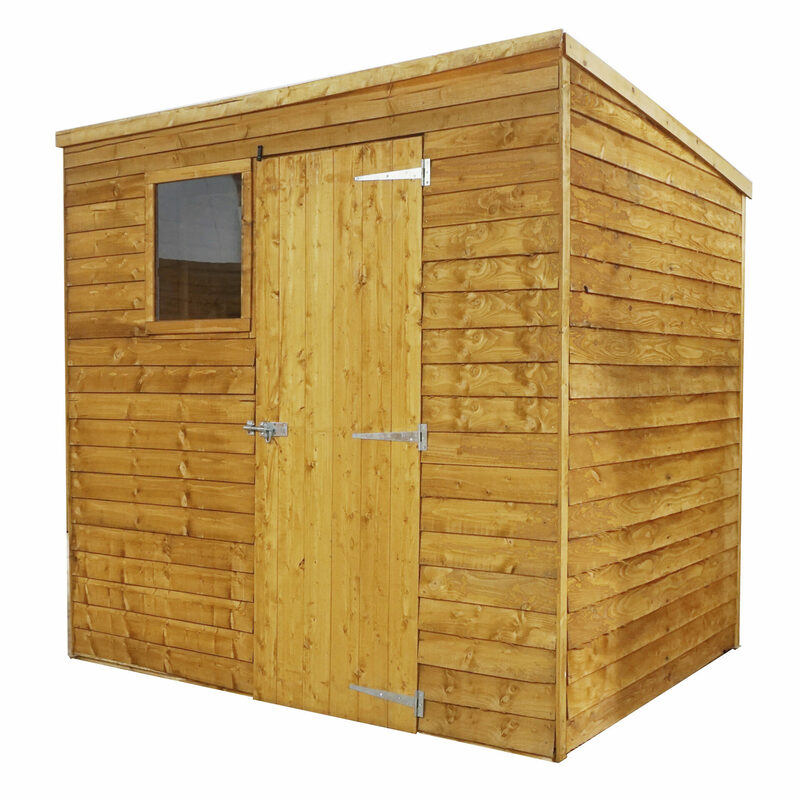 The 28 x 28 framing makes the shed strong and robust for your peace of mind. 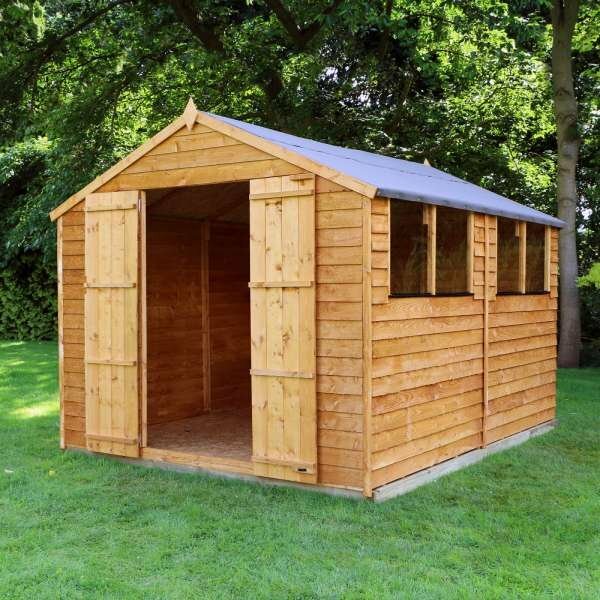 Options include: 7×5 Overlap Apex Shed, 7×5 Overlap Apex Shed With Installation, 7×5 Overlap Apex Shed Windowless, 7×5 Overlap Apex Shed Windowless With Installation.